Motorized Kayak Tour Updates | Motorized Kayak Adventure's Blog! 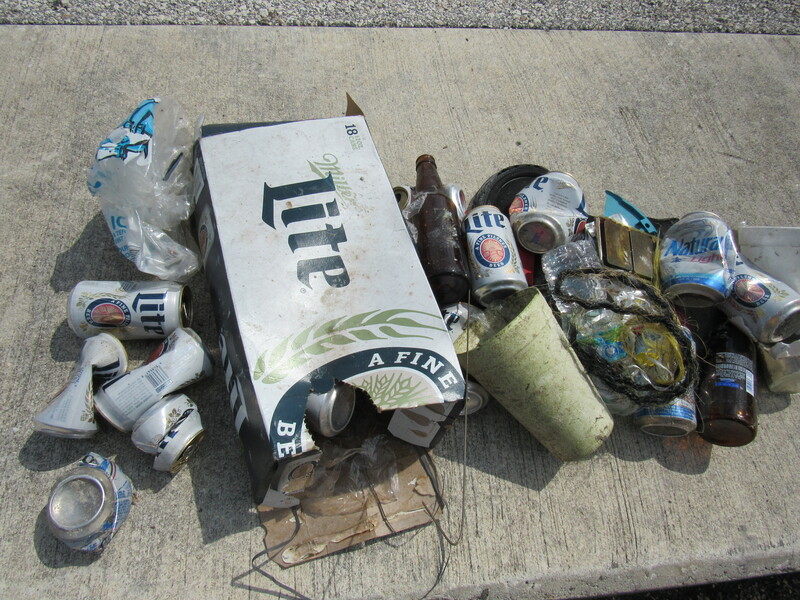 More trash from around our neighborhood that won’t get into the waterways. The red line on the map shows the boundaries of the current trash pick up area. The blue line is today’s route. 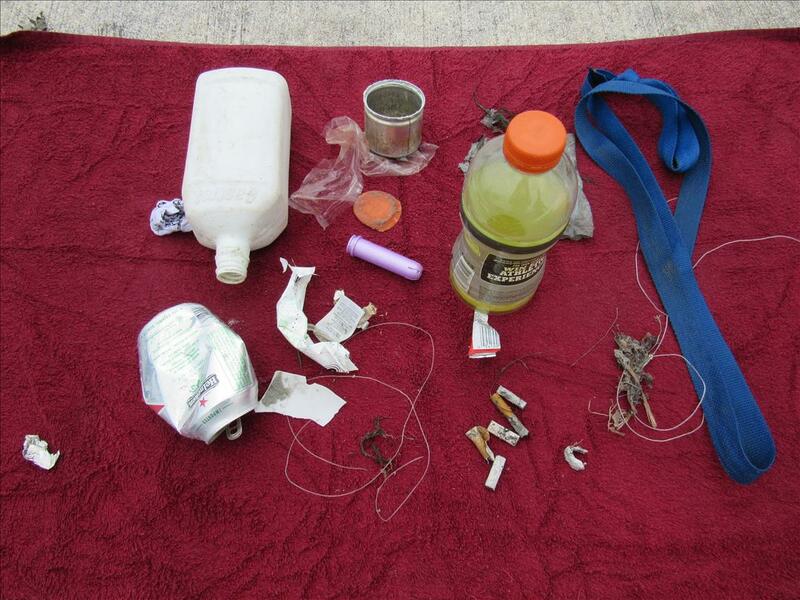 Pretty typical stuff: cigarette butts, plastic bottles, bottle caps, aluminum cans and a variety of miscellaneous debris. The trash report is back! It’s been awhile since the last trash report. 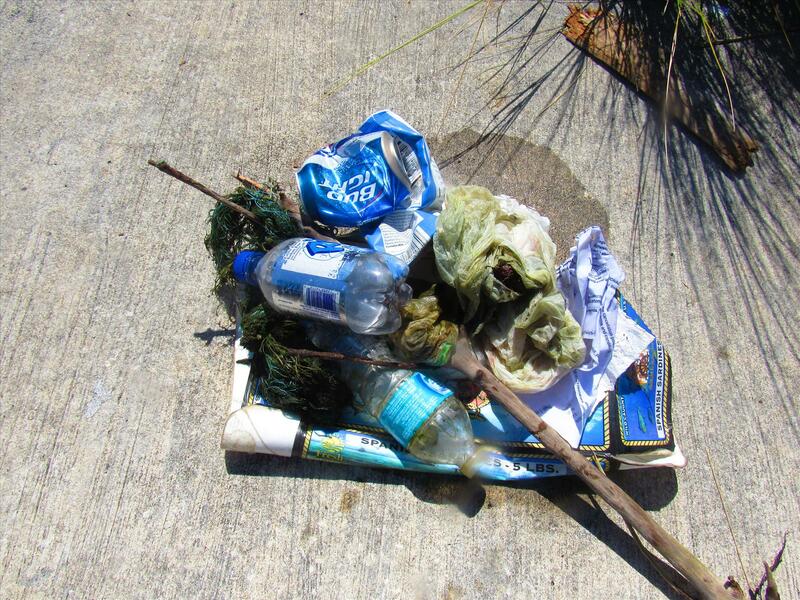 Over the years we have cleaned up most of the bulky items we find on our tours, much of it tangled in the mangrove roots. That said we’ve decided to add trash we collect from other locations, like around our shop and even our neighborhoods. Our hope is that by doing this it will encourage others to pitch in. We don’t need any new laws and it doesn’t matter who the politicians are. Today’s catch. In the winter, we typically see less debris, but it’s always there. 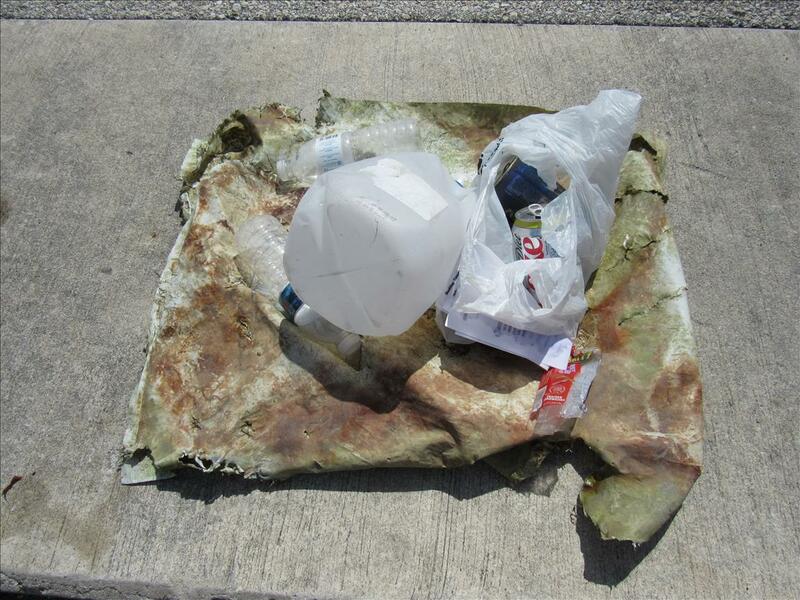 We hope our trash blogs will encourage everyone to “Just pick it up!”. 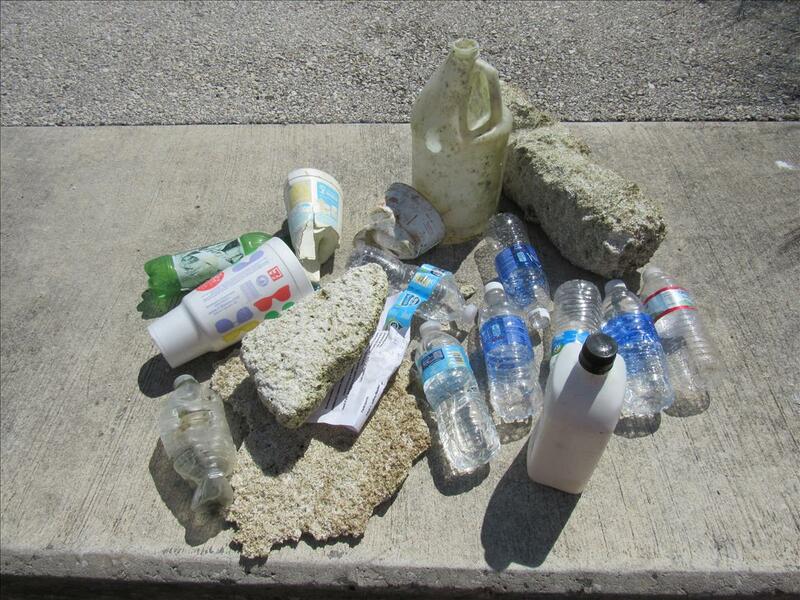 Saint Lucie County Florida’s spoil island SL-13 gets a cleanup. Thanks to guides Danny and Linda who have spearheaded the regular visits to keep the island free of debris. We met with visitors there too and encouraged them to pack out. Along with picking up trash, we observed hundreds of new mangroves sprouting up on the east end of the island about 20 feet from the water and behind existing established plants. We believe the recent surge driven tides pushed the high water line well into the island, and the existing plants shielded the new growth from the waves. Must of been a party last night. 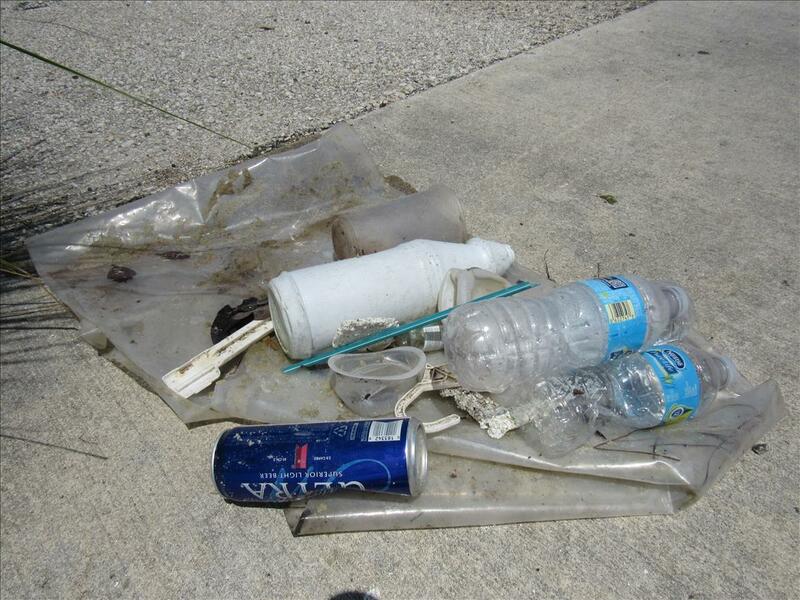 This trash was mostly from one site on the beach at Tucker’s Cove. By the way, apparently it’s not illegal to pick up trash. It’s unsightly at best and harmful to our wildlife and nature. We are seeing more trash than usual, lately and believe that much of it is being flushed out by the high water from the recent storm surges. 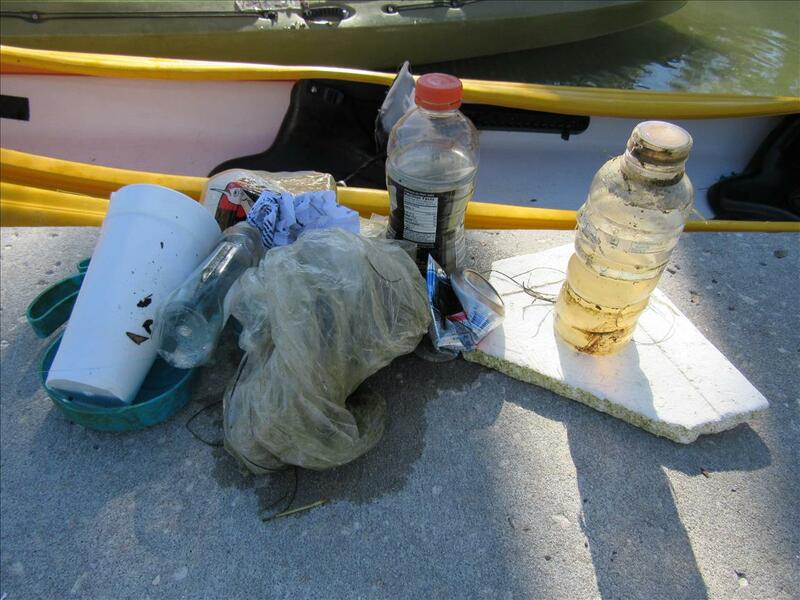 Another reminder to everyone to help pick up trash in and around our waterways. 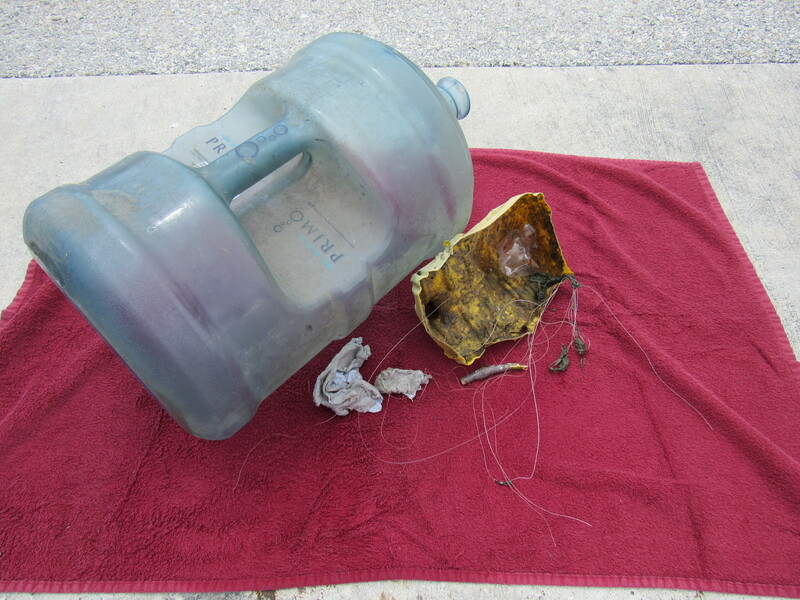 Keeping the IRL free of fishing line and other harmful debris is not hard. Can you commit to doing it with each visit?